State Street's Little World packs a flavorful punch. Open: Monday-Sunday 10 a.m.-10 p.m. 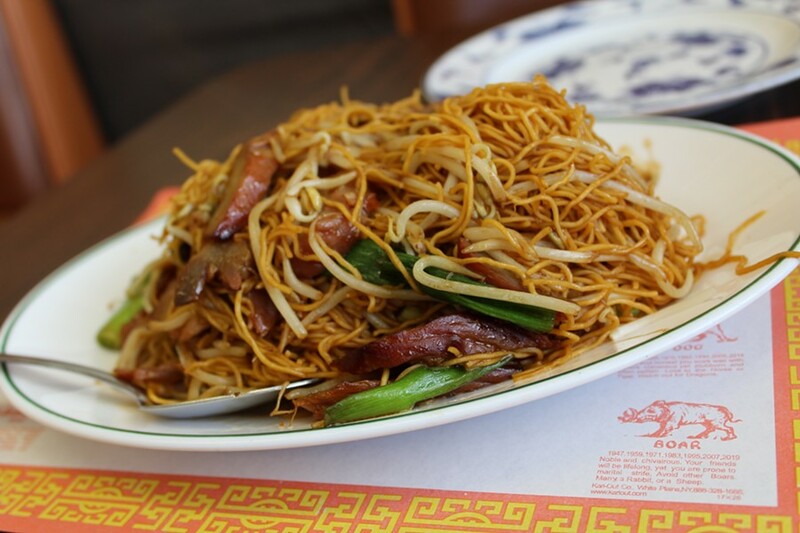 When considering the sheer breadth of Chinese cuisine, it's easy to feel a little short-changed at most takeout joints. I like sweet-and-sour chicken just as much as the next guy, but every so often I want to veer off the beaten path and try something different. When I popped in to Little World Chinese Restaurant (1356 S. State, 801-467-5213) for a quick lunch, I was a bit dumbfounded to find a menu that contained hundreds of dishes, some of which were completely unknown to me. Sure, the familiar lineup of General Tso's Chicken and ham fried rice is ready to stand at attention, but those willing to dig a little deeper into Little World's menu are in for a gastronomic adventure. Since I began my experience at Little World with a lunch special, let's start there. Lunch combos come in two variations, seemingly rewarding those who want something different with a hell of a lot more food. For $5.56, you can get your basics—chicken chow mein, beef with broccoli, orange chicken and the like, all of which come with one appetizer. The $6.26 menu offers a bit more variety, along with all of the appetizer options and the soup of the day. Here you can find fare like beef with oyster sauce and Peking spare ribs. I went for shrimp with garlic sauce because it was one of the spicier options—and I was hoping a little garlic breath would curb any social interactions I might encounter during the rest of the afternoon. When they brought out my order, I thought there had been some mistake. There's no way I ordered this much food for just six bucks. But sure enough, there were my plump and pink shrimp, served with roasted veggies and slathered in garlicky brown sauce with red pepper flakes. In addition to the main dish, the plate contained a hefty scoop of ham fried rice, an egg roll, a piece of fried shrimp and a fried wonton. The flavors here evoke those one would expect of a Chinese food place in the American mainland—tangy garlic, sharp ginger and salty soy or fish sauce. However, the blend of flavors here struck me as more thoughtful and dare I say ... elevated. They're not yanking your chain when they say a dish is spicy, either. By the end of my meal, my mouth was pleasantly torched. Feeling as though I had just scratched the surface of what Little World has to offer, I returned later with a friend. Our goal: Order stuff we wouldn't normally try in a Chinese restaurant. I went with the roast duck on rice ($9.99) and the squid with black bean sauce ($10.99). My buddy opted for the roasted pork lo mein ($8.50, pictured above) and the shrimp balls with tofu hot pot ($13.50). First, we kicked the whole thing off with an order of potstickers ($6.26). I've developed a modest addiction to potstickers throughout my gastronomic travels, and I have to say the ones here are among the best. 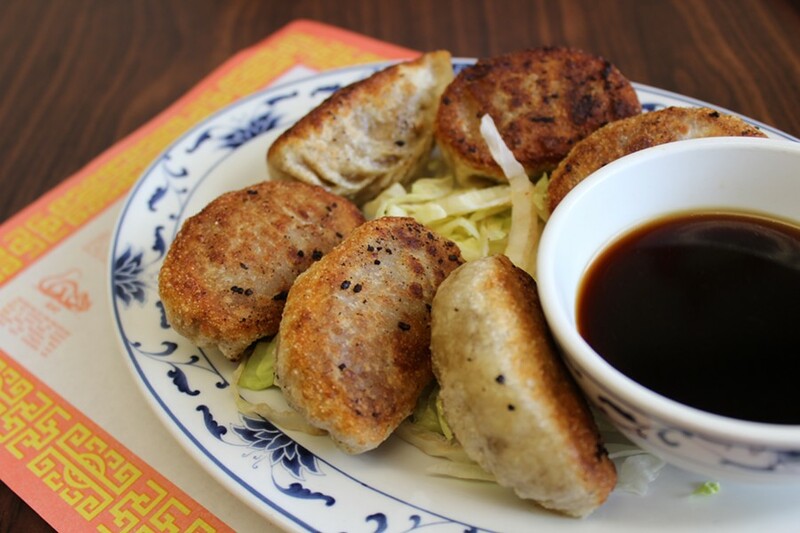 Much like pizza, potstickers tend to be good no matter what, but these little beasts are something special. They're roughly the size of a fist, packed full of seasoned pork and cabbage and are absolutely wonderful. As appetizers, they appropriately set the stage for the meal to come, which, despite a few unsure bets, was largely successful. I'm a little torn between what I liked more: the shrimp balls and tofu hot pot, or the squid in black bean sauce—surprising, since I was expecting the roast duck to take the fish cake. The shrimp balls and tofu come served in a sizzling broth that adds some tasty saltiness, and the cross hatching on the cuts of squid makes the meat look like flowers from some exotic locale. In the end, I would get either dish on a repeat visit—though the shrimp balls might have edged out the squid. While it's true that Little World isn't the most glamorous spot to share a meal, the vast menu, reasonable prices and huge portions make it stand out. It's definitely the kind of place that can act like a gateway between familiar dishes and ones that entice diners to venture off the conventional path for something unexpectedly delicious. Open: Mon.-Sun. 10 a.m.-10 p.m.